After arriving in Hong Kong on May 20, 2012, Snowden spent 11 days off the grid before checking into the Mira Hotel under his own name. He reportedly met with American journalists Laura Poitras and Glenn Greenwald on June 3 and began publishing stories revealing NSA domestic spying. On June 9, Snowden revealed himself to the world before reaching out to WikiLeaks for help finding asylum. A few days later, he provided documents revealing “operational details of specific attacks on computers, including internet protocol (IP) addresses, dates of attacks and whether a computer was still being monitored remotely” to Lana Lam of the South China Morning Post. 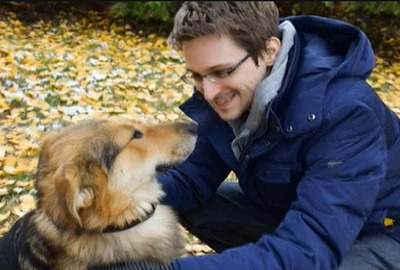 On June 15, the US asked Hong Kong to provisionally arrest Snowden for the purposes of extradition and subsequently revoked his passport on June 22. WikiLeaks advisor Sarah Harrison flew to Moscow on June 23. Very little is known about Snowden’s discussions with Russian officials in Hong Kong or his living arrangements in Russia. Anatoly Kucherena, who sits on the public-relations body for the FSB, serves as Snowden’s lawyer in Russia. Ex-KGB Major Boris Karpichkov believes that Russian spies tricked Snowden into going to Moscow. WikiLeaks founder Julian Assange has said that he advised Snowden to go to Russia and stay there because he wouldn’t be safe elsewhere. 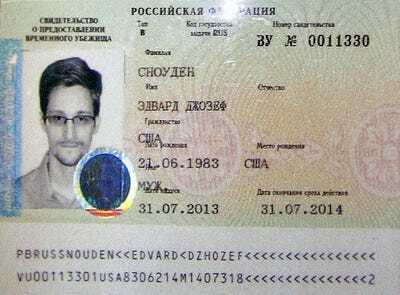 Here’s a look at Snowden’s photo opportunities in Russian media since he arrived in Moscow. 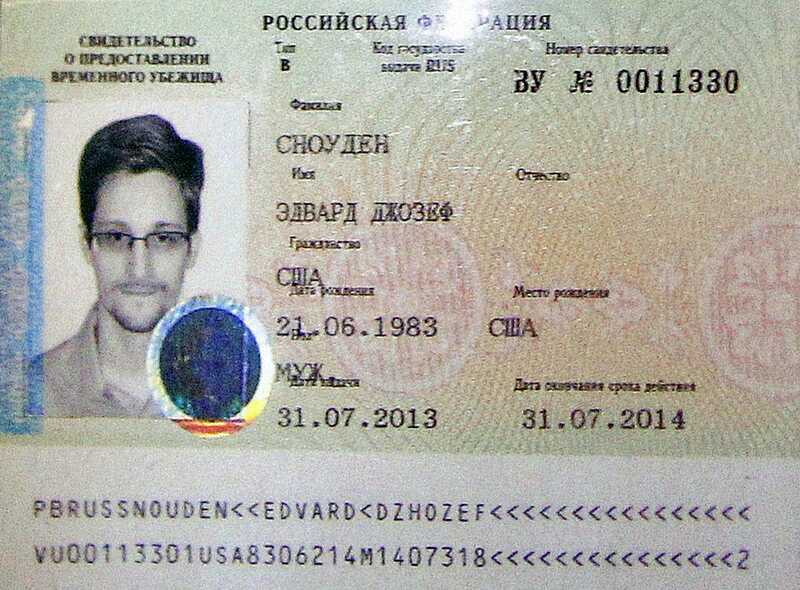 July 12, 2013: Snowden announces his plea for Russian asylum at a press conference in Moscow’s Sheremetyevo Airport. 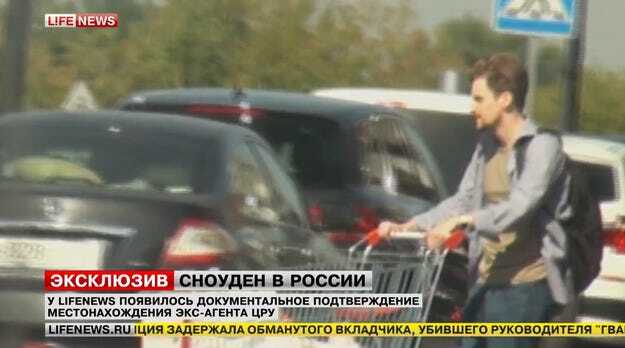 August 1: Snowden leaves the Sheremetyevo Airport and heads to an undisclosed location after being granted asylum and a Russian visa. Snowden walking in Moscow Airport with WikiLeaks advisor Sarah Harrison and lawyer Anatoly Kucherena after being granted asylum. October 7: A man who at least resembles Snowden is shown grocery shopping. October 9: Snowden receives an award in Moscow. 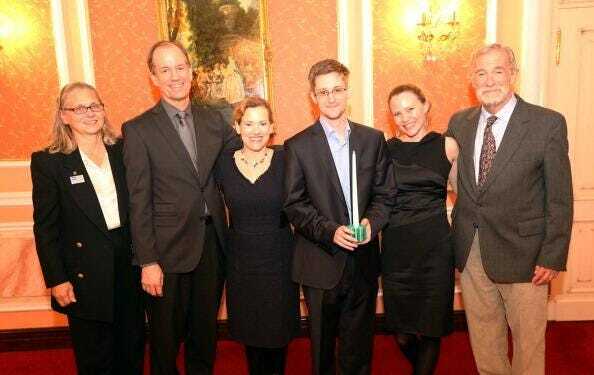 He is joined by Harrison (2nd R) as well as US whistleblowers (L-R) Coleen Rowley (FBI), Thomas Drake (NSA), Jesselyn Raddack (DoJ) and Ray McGovern (CIA). October 31, 2013: Snowden is shown on a boat in Moscow with the Cathedral of Christ the Saviour in the background. 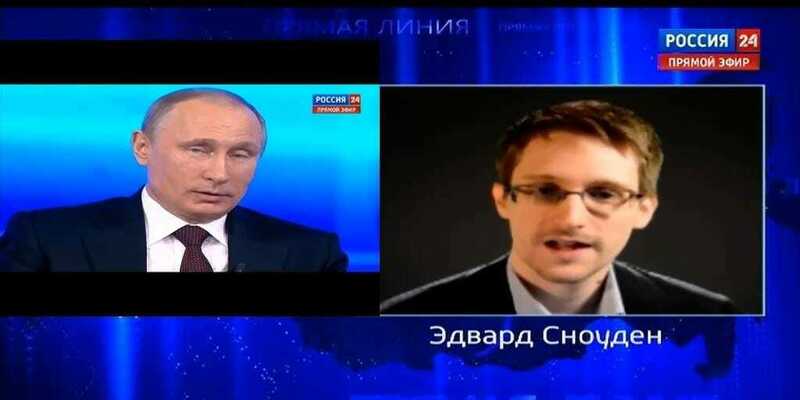 April 17, 2014: Snowden appears on a nationally-televised interview with Putin ask the Russian President if he spies on Russian citizens. Putin denies doing so. David Herszenhorn, a Moscow-based reporter for The New York Times, called it a “stunning in-your-face move” by the Kremlin. Twitter/@UkrobloggerSnowden asking Putin a question on Russian TV in April 2014. 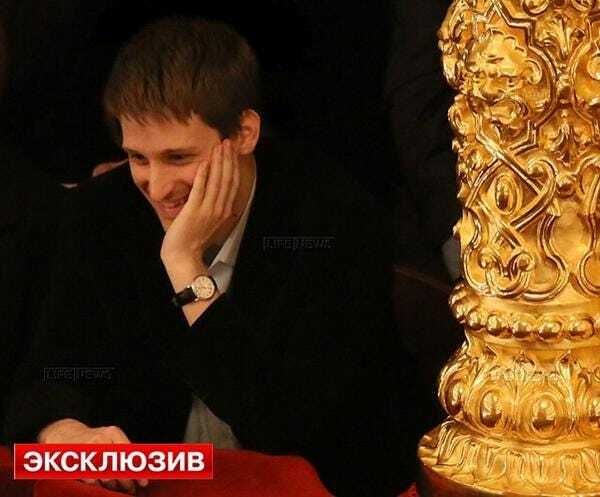 August 2014: Snowden is shown visiting Moscow’s Bolshoi Theatre. 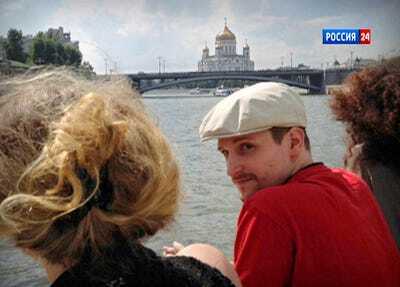 After the release of the documentary “Citizenfour” by Laura Poitras in October — the movie revealed that girlfriend Lindsay Mills has visited Snowden — Russian media released a photo of the two of them at the Bolshoi. The US Intelligence Community has put together a comprehensive list of Snowden’s interviews, statements, and appearances outside of Russian media. American experts point out that the classified intel in Snowden’s brain makes him very appealing to a US adversary like Russia. In any case, it’s likely that the former NSA contractor will remain in Russia for the foreseeable future.